Snow Country Snowmobile Region is dedicated to providing leadership and support to our OFSC District 6 snowmobile clubs, to establish and maintain quality snowmobile trails throughout the region in conjunction with its member clubs, that will be used in a safe and environmentally responsible manner to further promote the enjoyment of snowmobiling. For snowmobilers, our Snow Country landscape is 100 per cent Canadian Shield. Enjoy 2850 km/1770 miles of super sledding across rolling farmlands and mixed forests. We traverse west from Arnprior to Deux Rivieres, south from the Ottawa River to Perth, Sharbot Lake, Bancroft & Haliburton County. Our winters offer crisp temperatures, plenty of snow and our clubs work together to provide well-groomed, well-marked trails from mid-December to late March. 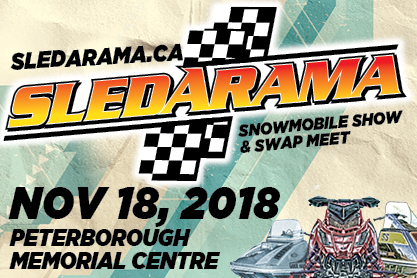 Snow Country Snowmobile Region clubs include BonnTrae (Deacon), Calabogie & District (Calabogie/Arnprior), Eganville Sno-Drifters (Eganville), Griffith-Matawatchan Sno-Dusters (Griffith), Haliburton County S/A (Haliburton/Minden), Keetna Snowmobile Club (Petawawa), Maple Leaf Snow Skimmers (Lake St Peter/Bancroft), Missing Link (Stonecliffe/Deux Rivières), North Renfrew S/A (Deep River), Opeongo Snowbirds (Barry's Bay/Whitney), Peterson Pathfinders (Combermere), Snow Road (Ompah, Perth), Timberline (Pembroke), and Whitewater Sno-Goers (Cobden/Renfrew). 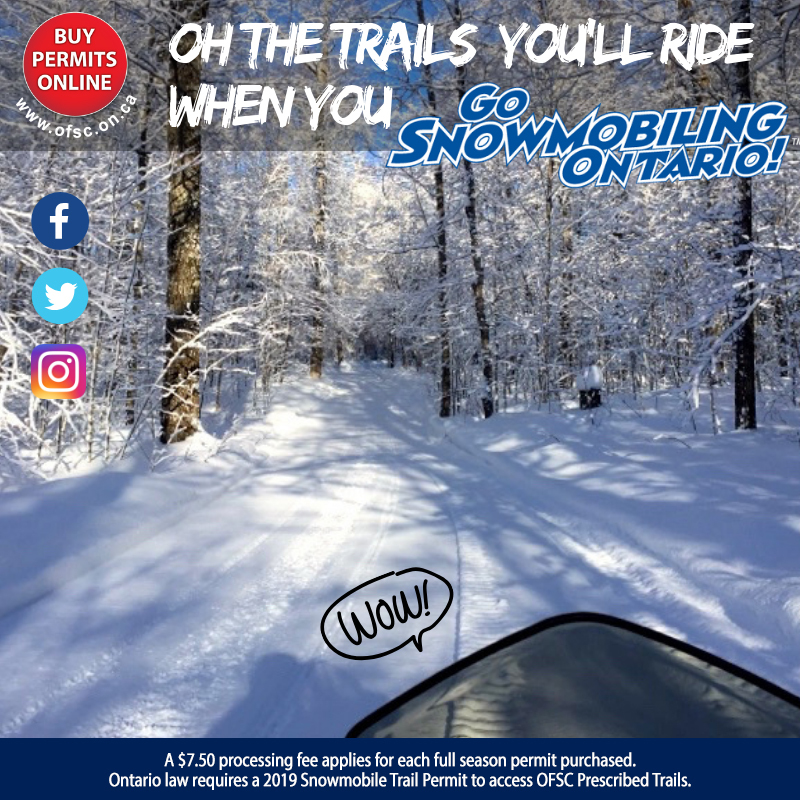 Snow Country Snowmobile Region and our clubs are members in good standing with the Ontario Federation of Snowmobile Clubs (OFSC). 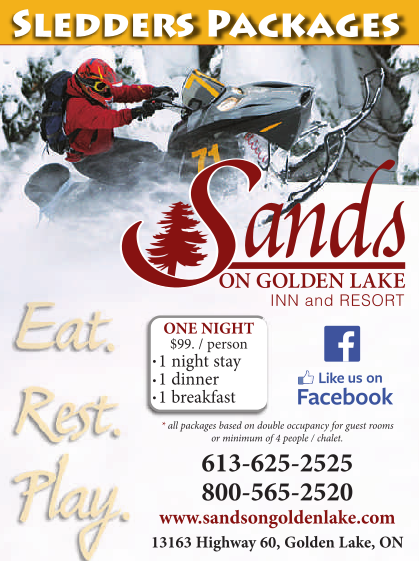 The Granddaddy of “Snow Tours” in the Province of Ontario is alive & well – The Round Algonquin Park Tour now connected and available to touring riders. Take a 3-5 day tour around Algonquin Park where you will experience an incredible mix of utility corridors, abandoned rail lines and old logging roads through extensive forests of the rugged Canadian Shield. Excellent access to all services touring riders require. For info, please contact us.